People who have come to see the beauty that surrounds the Fort Myers area will realize that it is a place that demands a revisit. Some would even consider staying for longer periods deciding that a second home in Southwest Florida is a wise move. Or perhaps you are looking to make the move to Southwest Florida as a full time resident. As there is a high demand for modern residences, communities have adapted accordingly. 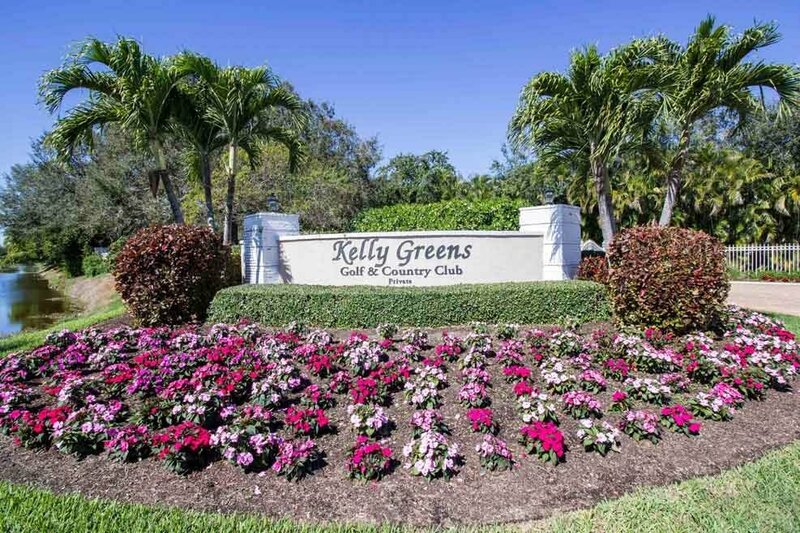 One of the sought after gated communities in Fort Myers is the Kelly Greens Golf and Country Club. Over 900 residents make up this community with over 85 percent of them overlooking lakes or portions of the golf course. A main advantage of living in the Kelly Greens Community is the location. It is ideal to be isolated enough from the hustle and bustle of a city, but still within close proximity to downtown. This makes the home a quiet sanctuary to live a relaxing life, yet close enough to reach the city for work purposes, or whatever the case may be. It only takes five minutes or less to get to life's essential stores and services such as banks, pharmacies, post offices, grocery stores, hardware stores, and others. Within a few minutes, one can also arrive at the entrance of the Bunche Beach Preserve State Park, Fort Myers Beach Welcome Center, and Sanibel-Captiva Island Causeway. Boat launching sites as well as fishing boat rentals, or sales for the Caloosahatchee River, Estero Bay and the Gulf of Mexico are within ten minutes. Other major attraction sites like the Germain Arena, Edison Ford Winter Estates, Ding Darling National Wildlife Refuge, Fort Myers History Museum, Fort Myers downtown area, and many more are within reach in less than 30 minutes. It's prime location is just the beginning when it comes to Kelly Greens. The main entrance of the Kelly Greens community is off of Summerlin Road. Residents can also use the gates at the Kelly and John Morris Road that connect with a major road, McGregor Boulevard. As a bundled community, homeowners of Kelly Greens automatically become members of the Kelly Greens Country Club. This means that they can access the various facilities of the clubhouse without any additional fee. These include the fitness center, restaurant, tennis, golf and other clubhouse services. The championship, par 72 golf course designed by Gordon Lewis is one of the best conditioned in the area. The course is aesthetically amazing with its trees and various wildlife. The course offers a challenge to all skill levels. Golf related facilities include a chipping and putting green. The 8,000 square foot chipping/putting green is a perfect way to work on your short game. A driving range with more than 20 hitting stations is also available to residents and guests. A well stocked golf pro shop is constantly recognized as one of the best in the area, carrying only the finest golf merchandise at member preferred pricing. Kelly Greens has men's and women's 9 and 18 hole associations, a 9 hole couple's league, a well as a men's and ladies inter-club team that competes against other clubs in the area. Holiday scrambles are also available. Kelly Greens features four lighted Har-Tru hydro courts located adjacent to the fitness center. Activities for all levels of play are offered. Events also include drop-in round robins for men, women, and mixed doubles. A new intramural league has also been created. Tennis professionals are also on site to assist with all tennis needs. These professionals also offer lessons in a private or group format. A recently renovated fitness center with updated equipment provides a modern and comfortable exercise facility for members and guests. Personal trainers and physical therapists are also available on site. Fitness classes include yoga, water aerobics, and much more. In addition to the fitness center, for those that wish to bask in the ambience of nature during their workout, there are over five miles of sidewalks and streets which offer an excellent opportunity for biking, jogging, or walking. Living in Kelly Greens offers members the option to attend social activities all throughout the year, including holiday themed parties, dances, dinners, and more! Aside from lounging in your beautiful home, the heated pool, sauna, and whirlpool spa are all a great place to meet with neighbors. There are different member clubs to choose from to get to know other people with similar interests. Among these are the painting classes, garden club, chef’s cooking class, the Kelly Greens needle work club, and many more! Residents can also enjoy rounds of card games, like poker, Mah Jong, bridge and various trivia nights. There is so much to explore in Kelly Greens that allows members to get to know one another, and offers the ability to really connect with your surroundings since the community promotes such an outdoor, active lifestyle. If you are searching in the area, and are interested in an outdoor, active, and friendly community, then we highly encourage you to investigate Kelly Greens.